The Risk & Assurance Group (RAG), established in 2004, is the longest running event in the world of business assurance. Three free meetings are hosted every year in London providing a unique venue for assurance professionals to share experiences and informally discuss the issues of the day. For the 2016 summer event, RAG is pulling out all stops to organize its largest event ever with an impressive two-day line up of professionals who will speak on many risk management topics. 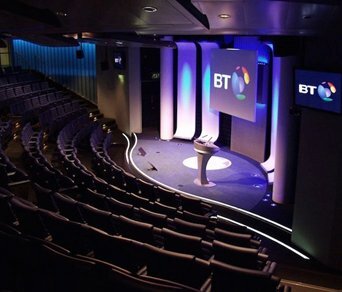 The 2016 summer conference will be held in the stunning 170-seat auditorium of BT Centre, just a stone’s throw from many historic London sights, including St. Paul’s Cathedral, the Old Bailey, and the London Museum. The conference is scheduled for Thursday 7th and Friday 8th July, with a planned running time of 10am to 5pm. Registration is free, but the organizers recommend you book early: RAG has already received registrations from a wide range of telcos in the UK, Africa, Middle East and across Europe. The event will cover fraud management, revenue assurance, other kinds of business assurance, Enterprise Risk Management, and other kinds of risk management including information security and credit risk. The full agenda has yet to be finalized, but the following working draft is based on the speakers who have already confirmed they will contribute. A special panel will discuss what other industries can learn from the way telcos have tackled their operating risks. Confirmed panellists include Vernon Kitay of retailer John Lewis, Paul Masters of online grocer Ocado, and Luke Taylor of Neural. Shoaib Qureshi will tell us how to implement an ERM program, based on his experience in Ooredoo Qatar. John Bangs of Sky, Alex Cassettari of TalkTalk and margin maximization expert Guy Howie are some of the panellists lined up to discuss what are the most important challenges currently facing revenue assurance teams. Jason Lane-Sellers of the Communications Fraud Control Association and Rene Felber of TeliaSonera Finland and the TM Forum will present the results of the global surveys they each manage, then debate the issues with gathering reliable data about leakages. Hayley Daniels of Neural will walk the audience through the latest technological advances in the fight against fraud. Fraud expert David Morrow will present a case study that shows why law enforcement, security and fraud management needs to be tackled using a single common strategy. Andy Gent of Revector will talk about strategies to mitigate the hottest threat facing telcos: OTT bypass. The ‘wise heads’ panel will close the event by reviewing the themes covered during the conference, how the current status of risk and assurance compares to their ideals, and what they predict will be the key areas for development in coming years. The following well-known and highly-experienced professionals have already been confirmed: Lee Scargall, Geoff Ibbett, Mark Yelland, Hugh Roberts and David Smith. Attendance at RAG events is free to anyone with a professional interest in communications risk and assurance, but we need you to register to ensure we have sufficient space to accommodate everyone, and to help us manage the number of lunches and coffees provided. Use this form to register your attendance at our summer conference meeting. Please ensure you select which days you would like to attend. If several people from your organisation wish to attend, please complete a separate submission for each individual. Please also check that you have correctly entered your email address, because we will contact you to confirm attendance. Having held personal interviews with several of the speakers, I can attest to the strength of this program’s line up. The chief organizers, Rob Chapman of Cartesian and Eric Preizkalns, the editor of Commsrisk, have done a splendid job of recruiting experts participate. You owe it to yourself to drop by and hear the top flight pros and mingle with your peers.